Wrap up your weekly meal prep with this deliciously simple chicken salad recipe. Click here to watch the video recipe. In large bowl, whisk yogurt, mayonnaise, honey, lemon juice, salt and pepper; fold in chicken, grapes, celery, onion and walnuts. Cover and refrigerate at least 2 hours or up to 1 day. Makes about 5 cups. 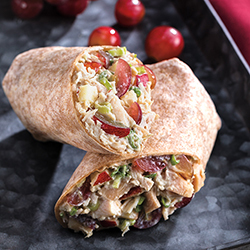 Place about ¾ cup chicken salad in center of each tortilla; fold sides of tortilla over filling, then roll from bottom up to enclose filling. Meal prep can be extremely rewarding. We have a yummy and healthy recipe for you to make ahead and have ready for a satisfying lunch or dinner. If shrimp are not deveined, devein, peel and remove tail before cooking. To devein shrimp make a light slit down the back of the shrimp, in the middle Remove and discard black vain. In a large pan on medium heat add butter and garlic. Stir while cooking for about 6 minutes or until butter is lightly browned. Add shrimp and cover in sauce. Stir shrimp to prevent burning. Once the shrimp turn a pink color and are slightly opaque turn down heat and add zoodles. Toss together until zoodles are warm. Remove from heat and place in single serving container. 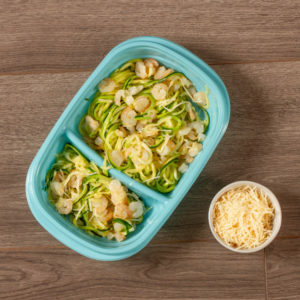 To reheat add a splash of water and microwave for about a minute and a half and then stir and continue microwaving, checking every 30 seconds, until shrimp and zoodles are warm. 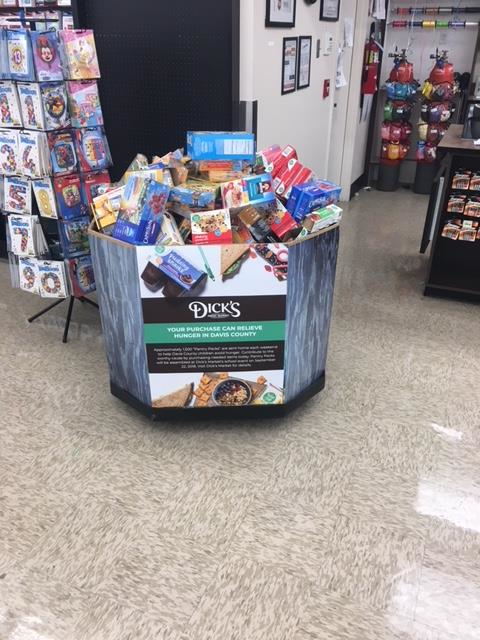 Thank you to everyone who helped make our Pantry Pack project a huge success! 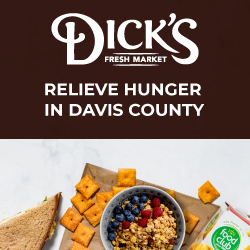 Your generosity helped us donate 945 complete Pantry Packs. 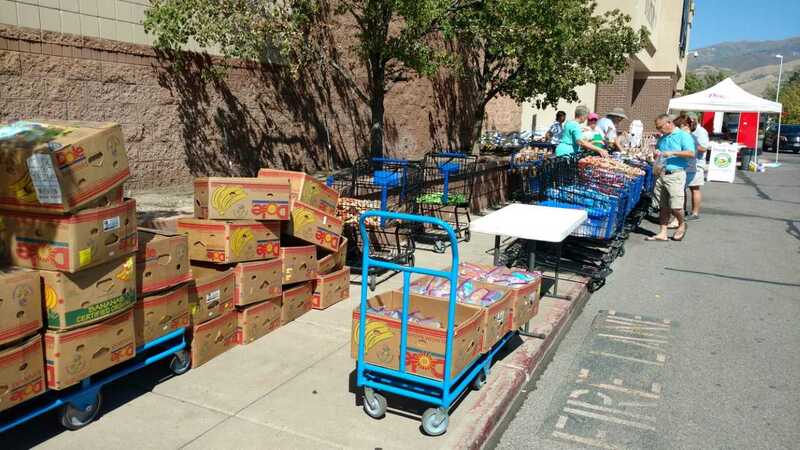 The packs were donated to Bountiful Food Pantry and will be passed out to children on Friday’s to ensure they have something to eat over the weekend. In total, we donated more than $7,681.00 in food. 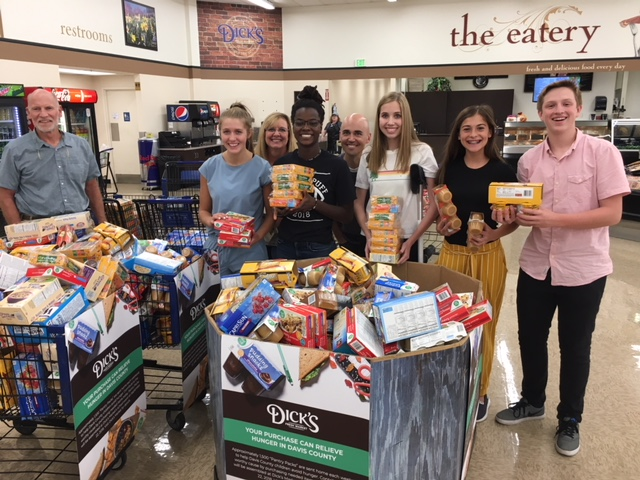 A big shout-out to the Girl Scout troops, North Salt Lake Youth Council, and board members from Bountiful Food Pantry who came out and helped us. 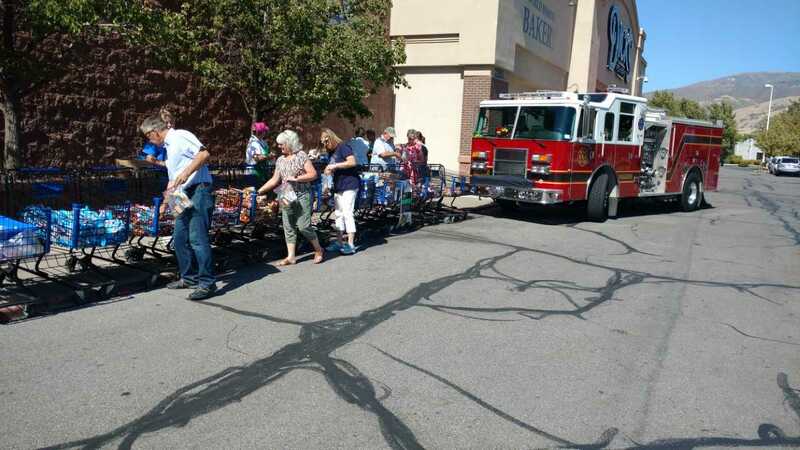 Our fire department even stopped by to provide kid safety tips during the packaging event on Saturday, Sept. 22. We appreciate everyone who donated product and helped us build the kits. We have the best community and can’t wait to do this again next year! Summer is sweeping by way too fast. Before you know it the school shopping with begin, backpacks will start getting filled and school lunches will start getting packed. 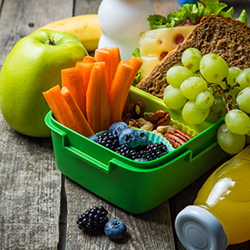 Speaking of school lunches getting packed…we challenge you to build a better school lunch. It doesn’t have to be hard or time consuming. 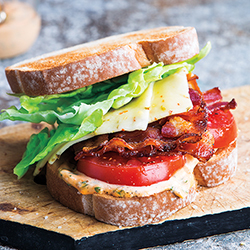 Step away from the classic peanut butter and jelly sandwich and try some new and unique lunch ideas. 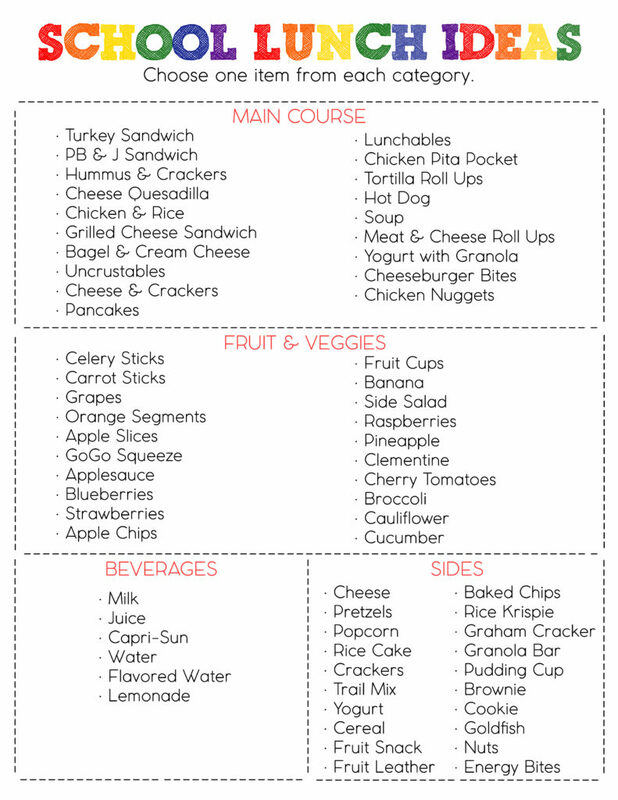 Check out just a few great options with this school lunch ideas list we have created for you. Select one option from each category and you are set. This will ensure your child has a full stomach, a smile on their face and energy to learn & grow. A solution many parents are using with great success takes a cue from traditional Japanese bento boxes. In its most fundamental form, a bento box is a small, compartmentalized container used for holding food. Bento boxes traditionally include a fish or meat, rice and vegetables. However, the many compartments make creativity easy. Beyond the wonderful artistic presentation, bento boxes offer health benefits including portion control and well-balanced meals. Reusable containers also cut down on waste from sandwich and snack wrappers. Any way you pack it, this fun alternative to peanut butter and jelly is perfect for fussy eaters who prefer food groups remain separate as well as more adventurous eaters who thrive on unique dining experiences. 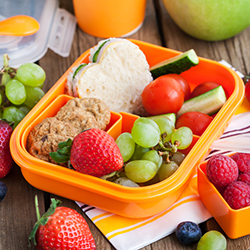 To achieve the full benefit of a bento box, balance your meal with vegetables, protein and starch. You can also add dairy and fruit to the mix depending on dietary needs. Remember that cookie cutters turn ordinary bread and fruit into smiling faces, butterflies and more. Use olives or grapes for eyes and slivers of red pepper for smiley faces. The options are truly endless. Plus, if last night’s meat balls were a crowd-pleaser, bento boxes are a great way to use leftovers. (Just remember to refrigerate as needed.) Remember kids should eat every color of the rainbow throughout the day to ensure their nutritional needs are met. Finally, don’t think of bento boxes as merely child’s play. A bento box lunch is the perfect solution to satisfy adult-sized hunger at the office as well.